Bitglass has recently published its 2017 Healthcare Data Breach Report, the third annual report on healthcare data security issued by the data protection firm. For the report, Bitglass conducted an analysis of healthcare data breach reports submitted to the Department of Health and Human’ Services Office for Civil Rights. The report confirms 2016 was a particularly bad year for healthcare industry data breaches. Last year saw record numbers of healthcare data breaches reported, although the number of healthcare records exposed in 2016 was lower than in 2015. In 2016, 328 healthcare data breaches were reported, up from 268 incidents in 2015. Last year’s healthcare data breaches impacted around 16.6 million Americans. The good news is that while incidents are up, breaches are exposing fewer healthcare records. If the colossal data breach at Anthem Inc., which exposed 78.8 million healthcare records, is considered an anomaly and is excluded from last year’s figures, the number of individuals impacted by healthcare data breaches has fallen for two years in a row. That trend looks set to continue in 2017, although the number of data breaches already reported by healthcare organizations remains high. The 2017 Healthcare Data Security Report confirms that the biggest problem area is unauthorized disclosures, which accounted for 40% of breaches last year. Those figures include deliberate acts by healthcare employees and unintentional errors that left data exposed. Those incidents have exposed the records of many Americans, but hacking is the biggest cause of exposed and stolen records. More records were stolen as a result of hacking than all of the other breach causes combined. 80% of all exposed/stolen healthcare records in 2016 were the result of hacks and the five largest healthcare data breaches of 2016 were all due to hacking and IT incidents. The same is true of 2017 so far. With the exception of the largest reported breach this year, all other breaches in the top five were the result of hacking. Fortunately, healthcare organizations have realized they need to increase spending on data and network security defenses. Security budgets growing rapidly and while not quite at the level of the retail sector, they are fast catching up. While healthcare organizations are committed to protecting the privacy of patients, one of the main drivers behind the increase in security investment is the cost of breach resolution. 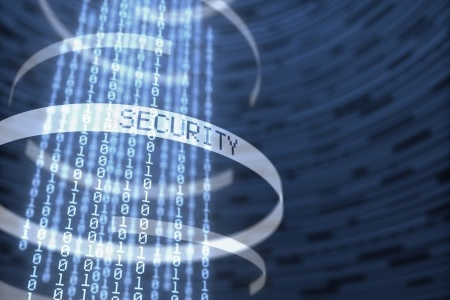 The cost of data breaches makes investment in cybersecurity defenses a priority. The authors of the 2017 Healthcare Data Breach Report point out that healthcare data breaches cost more to resolve than breaches experienced by other industries. Figures from the Ponemon Institute show that a healthcare data breach costs organizations an average of $402 per compromised record. For other industries, the average is $221 per compromised record. With such high costs, lax data security simply isn’t an option.